At Giordano, DelCollo, Werb & Gagne, LLC, our office will strive to meet all of the legal needs that you may require throughout your lifetime. Our office philosophy is: Once a Client, Always a Client. We will be there to answer any questions you may have and to assist you when needed. We are a results-oriented firm. As such, we know that a successful relationship with a given client begins with the first point of contact. Our manner of service for our clients is rooted in a foundation of respect and open communication. 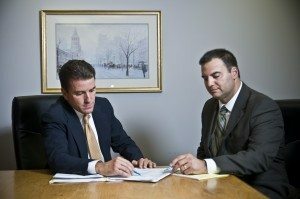 Our firm is pleased to specialize in the areas of practice mentioned above. If you have a legal matter in another area of law such as criminal defense, please give us a call for a referral to one of our many partner law firms in Delaware or Pennsylvania. We would be happy to assist in giving you a recommendation to a qualified attorney who can serve your needs.